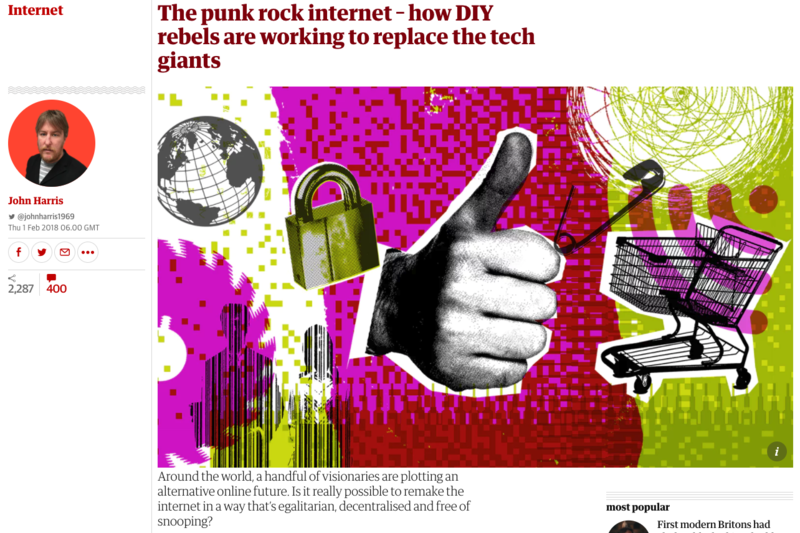 Great piece in The Guardian newspaper on 1st February all about the SAFE Network and our work at MaidSafe in building a new decentralised, autonomous data and communications network for the world. John Harris really dug into the subject and it’s a well-considered piece. It’s been fantastic to see the response across the growing SAFE community to this kind of coverage and chat with so many new people over the last week as a result. If this is the first time you’ve come across the SAFE Network and what it represents, I’d urge you to sign up to the Forum (https://safenetforum.org/). Then download the Alpha 2 software at https://maidsafe.net/ to take a look at what the start of a new internet, with privacy embedded by default, is going to look like. It’s going to be quite a journey.